Photography has a strong impact on online marketing. Visitors need to be convinced and photos and video are ideal means. Due to the high demand for good product photos, this became a stand-alone service. Trender specializes in photos for the web and therefore only photographs for the B2B. Good product photos can boost your webshop. It is usually the details that makes visitors choose for a particular product. These details are visible by making sharp close- ups besides only overview photo’s. 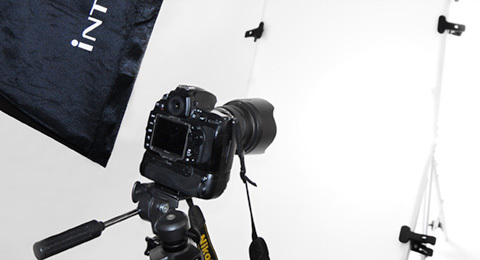 Trender has its own photo studio and recording table. This is a plexiglas surface which is illuminated from above and below. This allows us to photograph products directly without shades. This saves time and money for our customers. Regularly Trender has photoshoots on location for our customers. With our extreme wide-angle lenses we can expertly capture photos in every room on every location. This is ideal for company reporting. Together with our partners we can develop animations and corporate films. On the left is a picture of a company reporting of a hotel. All pictures can be seen on the hotel website. Are your photos not perfect yet? In Photoshop we can make everything into a piece of art. High spots are eliminated and details can be highlighted. The possibilities are endless. The result is perfect images for all purposes. For example, see the right image edited for a machine builder. Even the transparent parts are adapted to highlight the machine extra. Curious about the possibilities for you business?